I'm happy to pass on information about this conference which is happening on Saturday, for the benefit of anyone not coming to the LMS York Pilgrimage! 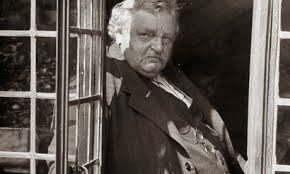 Chesterton enthusiasts will also be interested in the Latin Mass Society One-Day Conference featuring the Chesterton biographer Joseph Pearce, and other great speakers, on 24th May. Attendance by ticket. - Open to All. 9.15 – 9.45am Registration and Coffee. 9.45am Welcome and Introduction - Martin Thompson. 10.00 – 10.45am GKC ……….Who ! - Dale Ahlquist – President American Chesterton Society. 11.00 – 11.30am Encounter and Turning Point - Fr Spencer Howe. 11.30 – 12.00 ‘A Religion of Little Things’ – Martin Thompson. 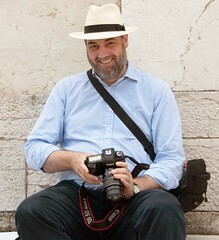 12.00 – 12.30pm View from Over the Channel - Dr Marco Semarini – President Italian Chesterton Society followed by Lunch. 2.00 – 2.45pm Wholeness and Holiness - Dr Dermott Quinn. 2.45 – 3.15pm Chesterton & Sanctity - Tessa Caldecott. 3.30 – 4.15pm Quizzical Questions on Saints -Fr John Udris. 4.15 –4.45pm Question & Answers – All. 5pm - Conference closes – Visit Chesterton’s Grave and/or tour of St Teresa’s with reference to Chesterton.